In October, we are going to bring back our youth by discussing tons of classic children's books that might have influenced us as a person when we were growing up. Remember those bedtime stories that put us to sleep, or those majestic stories of kingdoms and fairies that took our breath away. Have we changed and forgotten all our dreams? Expect to hear reviews on books like Lemony Snicket's "Who Could That Be at This Hour? ", "The Wonderful Wizard of Oz"written by L. Frank Baum and illustrated by W. W. Denslow, the memorable "Arabian Nights: Tales of 1,001 Nights" written by anonymous writers, the classic "Le Petit Prince (The Little Prince)" written by Antoine de Saint-Exupéry, "The Melancholy Death of Oyster Boy" written by Tim Burton, "Matilda" by Road Dahl, "The Graveyard Book" written by Neil Gaiman, "Amelia's Boy Survival Guide" by Marissa Moss, and many more (to be updated). The fact is, the list could go on because we're all so excited to talk about these books! So, join us and bring your fave children's book. 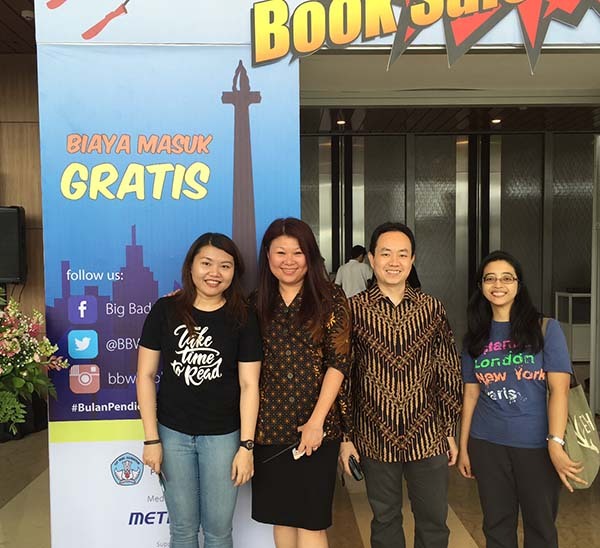 Indonesian books are very much welcome as well. We can chat and have lunch together, then swap books at the end of the event.